Just About Anything: Don't Throw Them Away Just Yet! 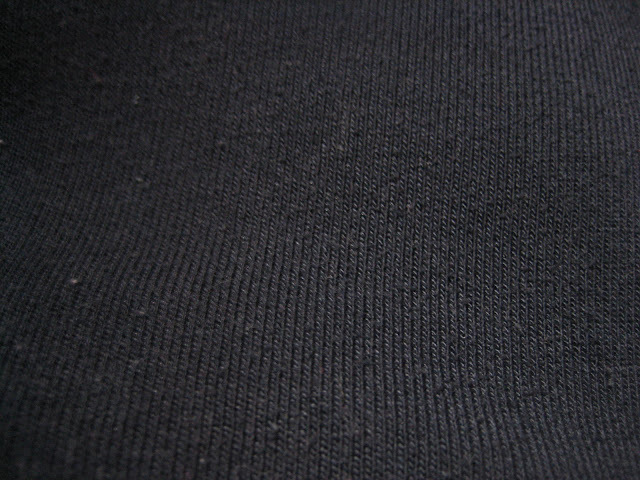 Is your favorite pair of pants no longer wearable because of raveled threads and fibers caused by too much wear? In the Filipino language, we call it himulmol or frays. I have always been trying to get rid of the frays on my favorite pair of jogging pants. Tapes, scissors, adhesives -- I've tried them all! Then one day, I found the perfect fray-remover: an old shaver! 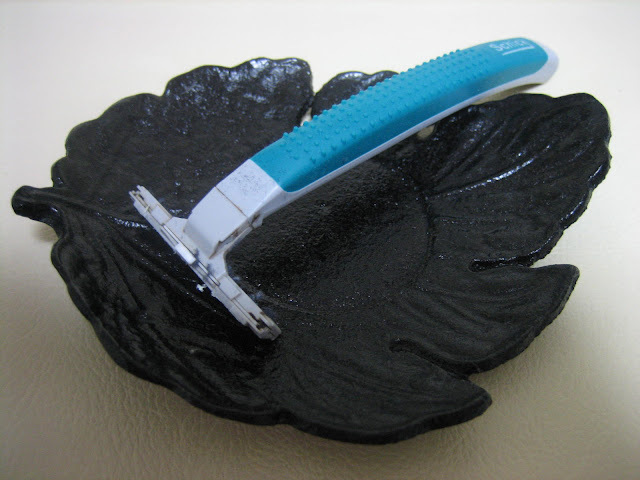 Before you dispose of your old shavers, you can still maximize its use. So what can an old, disposable shaver do, you might ask? Watch and learn! 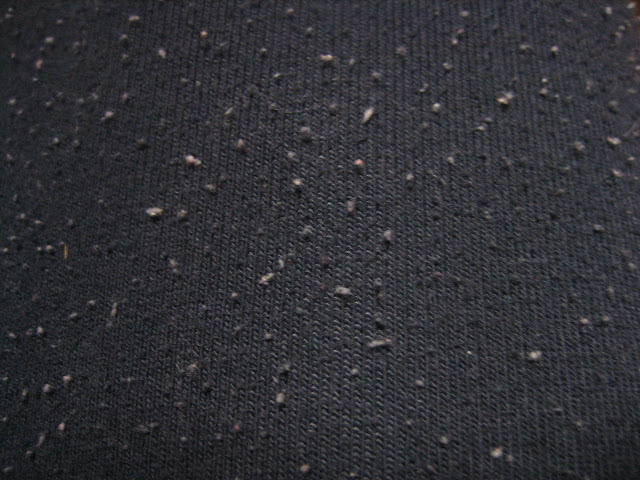 BEFORE: A close-up of my jogging pants fabric. It looks so old because of thefrays. First, lay the pants or the fabric on a flat, clean surface like your kitchen or dining table. 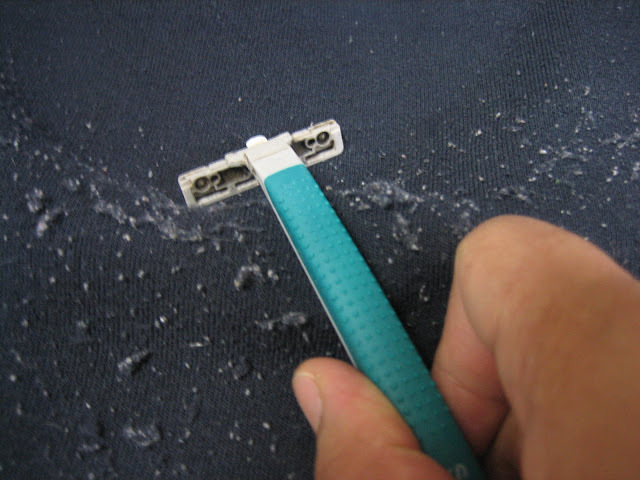 Shave the surface of the fabric as you would shave off unwanted hairs. Start near the waistline and work your way down. Be careful with the blades. They may be used and old shavers but it doesn't mean that the blades are no longer sharp. I cut my fingernails while working because I wasn't careful. Ouch! Shaving my jogging pants to get rid of those eyesore called frays! After you have finished with one leg, work on the other. 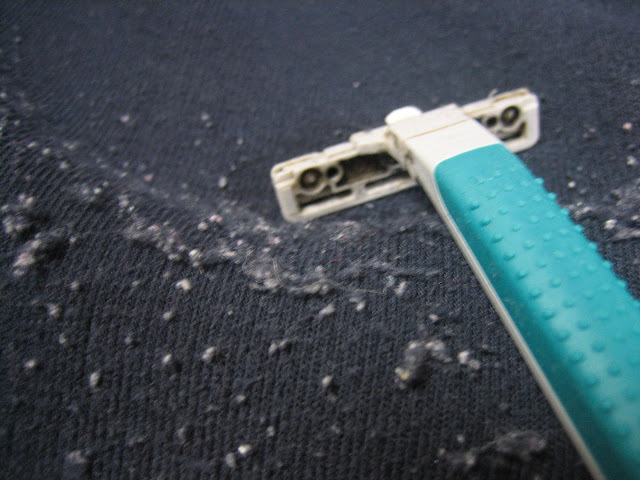 Remove the shavings as they accumulate so that it won't fall off and stick on your other clothes. They can be very annoying because they tend to stick unto anything. AFTER: See? No more frays! Almost good as new! After you are done, you'll find that your frayed pants are almost good as new! Enjoy! oh yeah- your 2 blogs have been added. Thanks. this is so useful. i dont need to buy a new one. tipid!